communities served by our affiliated health centers. Taft Campus School Health Center will get a state-of-the-art dental unit, and at Comprehensive Health Care Center, pediatricians, dentists and nurses will collaborate to apply fluoride varnish to children’s teeth in the medical pediatrics unit, and to integrate the Bright Smiles curriculum into pediatric and nurse training. Claremont Health Center will expand access for children by adding Saturday hours for pediatricians. We are delighted to participate in the Bronx Healthy Start Partnership, led by Dr. Hal Strelnick, collaborating with the Community Action Network to achieve better health outcomes for families, especially in perinatal and women’s health. Our community health workers have begun to work with patient-centered medical home teams at several health centers, reaching and re-engaging patients, who have missed appointments or important health screenings, in the care process. Now that Fall is in full swing and November is around the corner, I urge everyone to join us in combating childhood obesity and sharing healthy Halloween treats and fun fitness activities on social media. Remember, Fall is a fantastic time to try the wonderful produce at your local farmers’ markets, go apple picking, stroll in Bronx parks and enjoy the beautiful foliage. 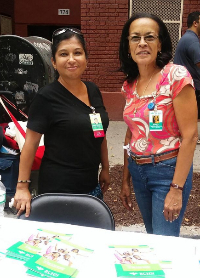 BCHN's Patient Navigator, Elisa Benitez, and Project Director, Nancy Manus at New Season Christian Church's street fair on Saturday, September 12. They were in attendance to help distribute information about the programs available at the 17 BCHN affiliated health centers. 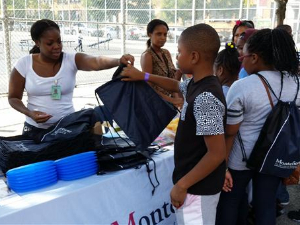 Associates from BCHN and the Family Health Center (located at 1 Fordham Plaza, 5th floor) were present during the Madison Square Boys & Girls Club Carnival and Street Fair, on Saturday, September 19, 2015. Community health workers interacted with the students from the Boys & Girls Club, teaching them about nutrition and demonstrating how much sugar is present in popular foods and drinks. For more about upcoming events and location check out the BCHN events page, or to arrange for BCHN representatives to be at your upcoming event, contact us. 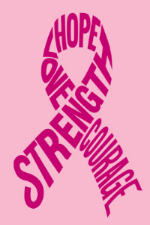 BCHN community health workers will deliver a presentation on Breast Cancer Awareness to the parents of students at the Grant Avenue Elementary School on October 29, 2015 at 9:00AM-10:30AM. Research has shown that individuals from medically underserved populations are more likely to be diagnosed with late-stage diseases that might have been treated more effectively or cured if diagnosed earlier. Financial, physical, and cultural beliefs are also barriers that prevent individuals or groups from obtaining effective health care. Lack of medical coverage, barriers to early detection and screening, and unequal access to improvements in cancer treatment may contribute to observed differences in survival between minority and non-minority populations. If you are interested in scheduling a presentation on this or other health-related topics, please contact BCHN via email or (718) 405-7720. Open enrollment for health insurance is from November 1, 2015 to January 31, 2016. 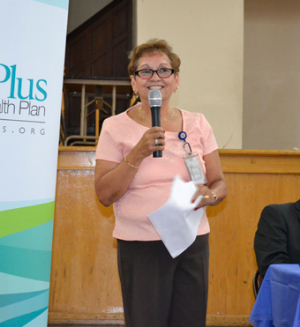 BCHN community health workers will be assisting Bronx residents navigate through the enrollment process during the enrollment period. We will add more dates at community locations over the coming weeks. Check the BCHN website for updates and more information. At the end of September, BCHN launched its newly redesigned website. The new website features improved navigation menus, new photo and video galleries, updated information on all programs and services, a publications page, and a new widget for Twitter posts. Visit the new bchnhealth.org. BCHN has been helping the people of the Bronx live healthier lives for nearly two decades. Your contributions can help us continue our work. Click the button below to become a contributor. 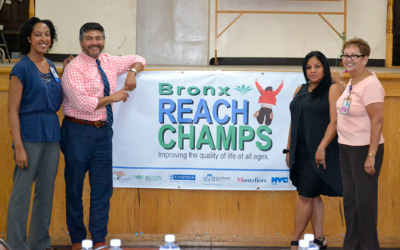 On Thursday, September 17, 2015, Bronx REACH CHAMPS officially kicked off its Shop Healthy initiative with coalition partner GOTHAM HEALTH/Segundo Ruiz Belvis at the Immaculate Conception Church 389 East 150th Street. Together with the owners of Compare Foods in the Segundo Ruiz Belvis neighborhood, and their retailers, Sonia Rodriguez, is leading community efforts to have a rewards card feature installed at the cash registers. By encouraging shoppers to purchase nutritious foods-more fruits, vegetables, whole grains, healthy snacks and beverages-REACH CHAMPS partners are working to reduce the prevalence of obesity and chronic disease. Nicole Joseph of Montefiore’s Office of Community and Population Health, is leading another Shop Healthy initiative, focused on bodega owners in the Williamsbridge community. Pictured (L-R): Bronx REACH CHAMPS coalition partners, Nicole Joseph, Program Analyst (Montefiore Office of Community and Population Health); Michael Hernández, Program Manager/Policy Analyst, BCHN; Maria Vega, Community Liaison for Medicine, Segundo Ruiz Belvis; and Sonia Rodriguez, Assistant Director, Administration, Segundo Ruiz Belvis, HHC. Sonia Rodriguez is all about streamlining and breaking down barriers to help people, organizations, and other entities work together to achieve great things. Sonia, who has been with the New York City Health and Hospitals Corporation (HHC) for five years, has spent a good deal of her career in government but according to her, her real strength her ability to communicate and make connections. Sonia is a pivotal REACH CHAMPS partner who has been instrumental in guiding the Shop Healthy initiative. The Bronx REACH CHAMPS Shop Healthy initiative engages residents, food retailers, food suppliers, and distributors and calls for increased access to healthy foods. “This is a model that uses relationships within the community, particularly the partnerships that BCHN has, to help maintain the community; and really, that is what we want. We want people to live in their neighborhoods and in their homes as long as possible without having to need long-term, acute care for illnesses that are preventable,” says Sonia. The Robert Wood Johnson Foundation punlished an article esxploring the impact of the #Not62 campaign and the positive shifts in attitudes regarding health in the Bronx. Andy King added 4 new photos — with Renee Whiskey and Brian Melford. 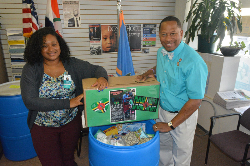 Thank you to District 12 for your outpouring of love and support for the Island of Dominica. 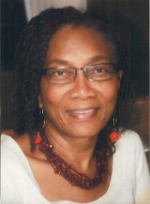 For those of you who didn't know, Tropical Storm Erika devastated the Island of Dominica homeland of my darling wife Neva Shillingford-King. Thank you to Renee Whiskey of Bronx Community Health Network for bringing much needed medical supplies that will help those in need; Raul Arias of Arias Cleaners for provided clothes that will be worn by those in need, and the King Team helping to pack the barrels with me that will bring these supplies to the courageous and strong survivors of this devastating storm. Pictured: BCHN Supervisor for Community Health Workers and Community Health Educator, Renée Whiskey dropping off a box of donated items from BCHN staff at NYC Councilman Andy King's office. We did Laughter Yoga at the #WWCMA conference. It works!! !We did Laughter Yoga at the #WWCMA conference. It works!! !